Imagine an ecosystem as a tiny world within our world. Here, living things, like plants and animals, interact with non-living elements, including water, rocks, soil and temperature. Every portion of the ecosystem influences everything else. An ecosystem exists within a larger area called a biome. Here’s an example of an Ecosystem: The Sonoran Desert in Arizona is a harsh landscape. Within the desert, though, there are streams and creeks. Here, fish, birds, turtles and snakes live. There are trees and plants. This is one type of an ecosystem. In other parts of the desert, there is little water. Here, only a few plants, such as cactus can survive. The animals that live here – snakes, ground rats, and scorpions – must adapt to harsh conditions. This is a different ecosystem within the same biome. Animals and plants within an ecosystem depend on each other for their survival. If conditions change, the animals and plants have to adapt. Plants can’t migrate when conditions change. During drought and heat, they might die. If they die, then herbivores won’t have anything to eat. They must either find new plants to eat or move to a new place. If they move, then carnivores have no food. They must move too. Sometime ecosystems change because of a climate change or a natural disaster. Sometimes, ecosystems are destroyed by humans. Think about the ecosystems that might exist in your neighborhood or even in your own yard. If you have a vegetable garden, the plants attract plant-eating insects. The insects attract birds, snakes and frogs. These animals might attract predators, including fox, raccoons, coyotes and owls. Who knew there was so much going on right outside your door! 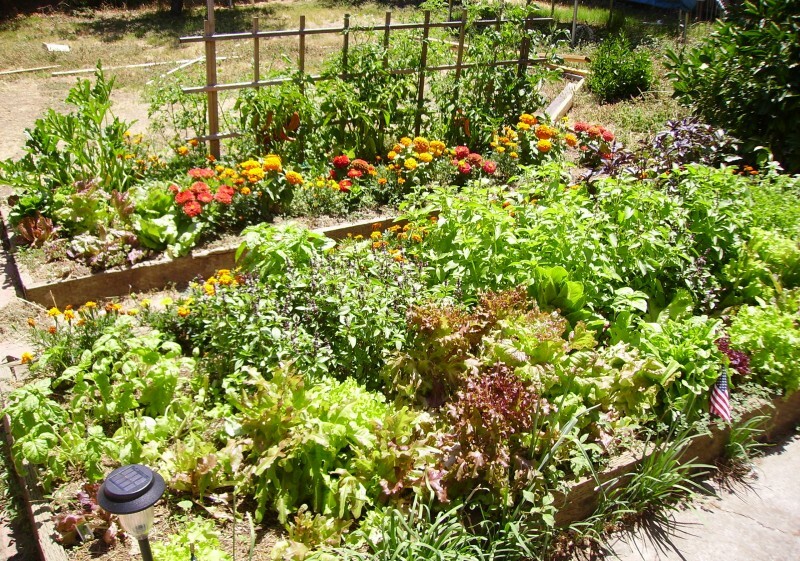 A vegetable garden is a man-made ecosystem, but you get the idea. Question 1: How can I protect ecosystems in my area? Answer 1: Pay attention to what you do in your own yard. Be careful with pesticides and fertilizers. Pesticides can poison birds, frogs and snakes. When fertilizers run into streams and rivers, they encourage algae to grow. The algae grow too much and smother other aquatic animals and plants. Grow flowering plants, vegetables and berries to give animals something to eat. 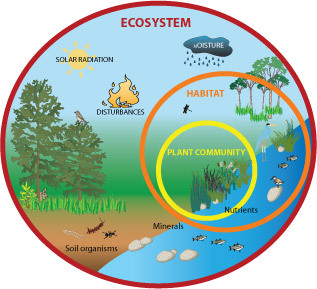 Question 2: What are the different types of Ecosystems? Question 3: Is the ecosystem important? Answer 3: The ecosystem is very important. Without a healthy ecosystem we would suffer terribly or simply would not exist. We need to protect nature to protect our drinking water, our crops and even the air we breathe. Everyone should care about the ecosystem, no matter how old or how young. By caring today we are caring for tomorrow’s world. Question 4: What is destroying the ecosystem? Answer 4: Unfortunately it’s our Human daily activities that are causing harm to our ecosystem. Examples of this are: Over hunting (Rhino, Tigers, Elephants, Lions and many more). Over Fishing, Deforestation and of course pollution. Enjoyed the Easy Earth Science for Kids all about Ecosystems info? Take the FREE & fun all about Ecosystems quiz and download FREE all about Ecosystems worksheet for kids. For lengthy info click here. Declan, Tobin. " Fun Ecosystem Facts for Kids ." Easy Science for Kids, Apr 2019. Web. 26 Apr 2019. < https://easyscienceforkids.com/all-about-ecosystems/ >.